Mozrank is a numerical value given by the Moz-based on the web page quality and authority of a trusted website. The Moz value is between 0 to10, it depends on the interlinking within a web page, outbound links and how well the web page optimized according to search engine guidelines. The small Moz numbers do not have much value, but higher the number will have the huge authority to the web page or website URL. Moz rank is basically depended upon the number of incoming and outgoing authority links achieved by the site. If the incoming links are achieved properly for particular web page then it is calculated using page authority and similarly, for the domain also. If the links achieved properly from various sites then is calculated using domain authority. So, based on these two metrics overall Moz Seo score is calculated. Moz metrics is calculated basically on 3 based categories such as rank, trust, and authority (webpage & domain). Increasing Moz trust and authority (page & domain) will increase the Moz score and improves organic search engine results. Moz trust is also based on both On-Page and Off-page factors including meta tags, speed, content, links, social tags, duplicate, thin contents and much more. 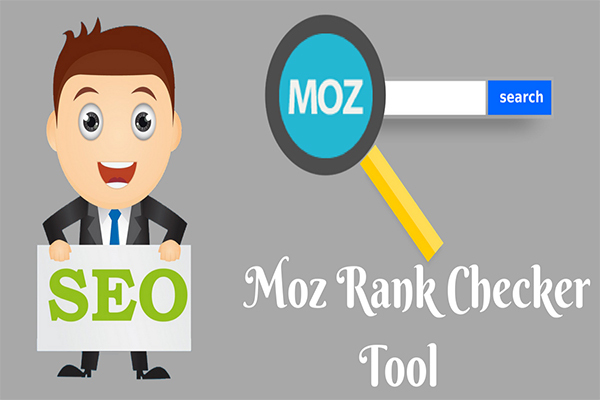 How to Use Moz Rank Checker tool? To check your Moz rank, just by submitting URL in the box and wait for the response. Along with the Moz rank, it even displays page authority and domain authority information on the website. With our free Moz rank checker tool, you can check your website and improve your Moz rank results. Gives an overview of Moz Seo score through selected Seo factors provided by MOZ online analytics software. It crawls and fetches various Seo factors for any domain instantly using Moz metric factors to the user. How to improve Moz Seo score? Regularly update fresh blog content with infographic images every 1 or 2 days. Curate and share your blog content with social Medias, Q & A sites. Social bookmarking and other content curation sites. Increase brand awareness by updating trending & quality contents on your site. Implement rich social meta tags, keywords, images, contents, internal links for every blog post to pass link juice between web pages.